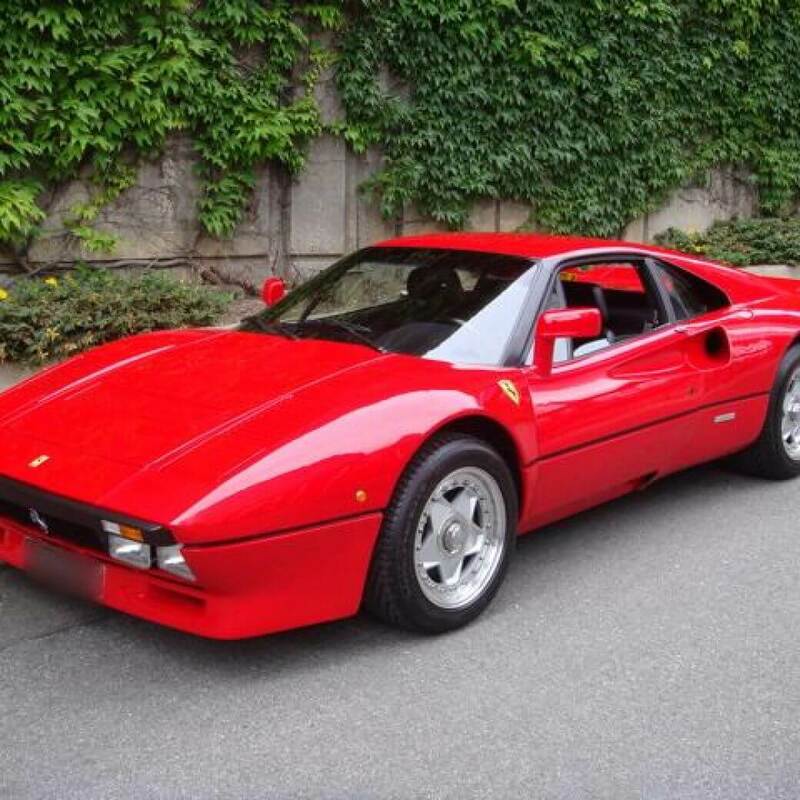 Ferrari 288 GTO is an automobile that has a 2 door coupé type body designed by Leonardo Fioravanti / Pininfarina with a mid located engine supplying power to the rear wheels. The Ferrari GTO (often referred to as Ferrari 288 GTO) is an exotic homologation of the Ferrari 308 GTB produced from 1984 through 1986, designated GT for Gran Turismo and O for Omologato (homologation in Italian). The Ferrari GTO was built to compete in the new Group B Race series and a minimum of 200 cars were required for homologation. However as only Ferrari and Porsche, with their 959, entered, the series was soon abandoned leaving just Group B Rally championship. The Porsche 959 (as the Porsche 961) only raced three times in Group B, but the 288 GTO never raced and all road cars built remained purely road cars. Some of the 288 GTO’s styling features were first displayed on a 308 GTB design exercise by Pininfarina shown at the 1977 Geneva Salon. This included the deep front spoiler, wheel arches and wings, rear lip spoiler, front lid radiator cooling louvers and quadruple driving lights. Figures for the total production run vary – but the consensus seems to be a total of 273 roadcars were made with 1 official pre production prototype – leading to a total of 273 cars made. The 2.9 litre engine is a turbocharged, double overhead camshaft, 8 cylinder that produces 395 bhp (400 PS/295 kW) of power at 7000 rpm, and maximum torque of 496 N·m (366 lb·ft/50.6 kgm) at 3800 rpm. It features dry sump-type lubrication. A 5 speed manual gearbox supplies the power to the driven wheels. Stated weight at the kerb is 1160 kg. Its maximum speed claimed is 305 km/h (190 mph).